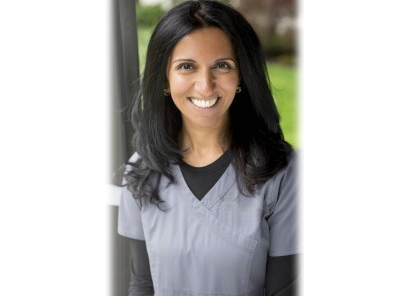 Dr. Salima Shivji graduated from a UK dental school in 1995, then immigrated to Canada (2002) and completed a second dental degree with honours. During this degree, Dr. Shivji received awards for excellence in clinical restorative and pediatric dentistry. Dr. Shivji is a very skilled, experienced and caring dentist who places her patients’ well-being above all else. Salima values the trust that her patients place in her and her focus is on long-term relationships. It is her practice and belief that taking the time to talk and listen, to explain, and have compassion for the patient are key in helping patients to navigate through their dental work with ease and comfort. Keeping up with the latest in dental technology is something that Dr. Shivji is dedicated to. She sees immense value in things like digital x-rays, which expose the patient to 80% less radiation, as well as using computers throughout the office to cut down on paper waste. Salima enjoys working with patients of all ages. She gives talks and demonstrations at preschools, helping even the youngest of patients form positive attitudes toward dentistry. In her spare time, Dr. Shivji enjoys running, ballroom dancing, and singing, but keeping up with her eight year old daughter fills up most of her time.